On Monday, Boston Celtics All-Star Kyrie Irving attended the first day of a class called “Crossover Into Business” at Harvard Business School. Irving—a five-time All-Star, former World Champion, and part-time actor—is one of several professional athletes enrolled in a semester-long program taught by HBS professor Anita Elberse, specially designed to help professional athletes develop their business acumen by working with HBS MBA student mentors. Some of the stars of HBS’s autograph-worthy cohort include Detroit Pistons center Zaza Pachulia, former All-Star Chris Bosh, and Brooklyn Nets breakout point guard Spencer Dinwiddie. Earlier this summer, as he was recovering from an injury, Irving was expressing interest in attending a professional business course, similar to many of his aforementioned fellow NBA players. In a field where intense drive and dedication are integral for success, it may come as no surprise that many professional athletes make the seamless transition to accomplished entrepreneurs after they hang up their uniforms. Venturing into the business world may even be a necessity for some athletes, as professional careers are often lucrative and short. Pro football players, for instance, can earn tens of millions of dollars in their career but the average career only lasts six years. So, what do you do with tens of millions of dollars and extra time on your hands? You invest. Many universities have developed programs that cater to current and former athletes to learn how best to manage their earnings. The University of Miami Business School offers an 18-month Executive MBA program for Artists and Athletes, specifically scheduled around the NFL season. Founded in February 2015, the inaugural class had 43 students—most of which were current or former NFL athletes. Many of these athletes come familiar with many aspects of business, from branding and marketing to media and public relations. These programs provide the framework to help athletes transfer these skills into the business world, leveraging their personal brand and networks to elevate their careers. Niche MBA programs are popping up across the country to address this growing need. 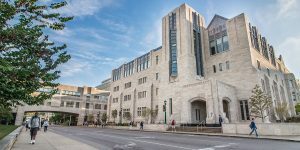 In addition to the University of Miami EMBA, there are also similar programs at George Washington University and Indiana University. In 2017, Smith graduated from University of Miami’s Executive MBA program, which he attended with his wife, Chanel. 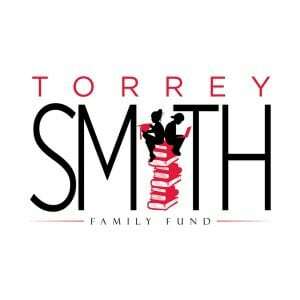 The couple used the skills and knowledge gained from this program to inform the work of their charitable foundation, the Torrey Smith Family Fund. The Smith Family Fund serves young people in the Baltimore area. NFL players all around have flocked to this program compared to other niche programs in the country, as it has been carefully tailored to fit their schedule, interests, and needs. The University of Miami is aware that not all students can learn successfully online, while other students haven’t set foot in a classroom in over a decade. Along with a rigorous curriculum, Miami hires professional trainers to work with current players at 6:30 a.m. before class, and tutors to work with the players at night from 7:30-10:30 p.m.
You can learn more about the University of Miami Business School program here.